Have your cake and eat sushi too! We bake fresh every day. 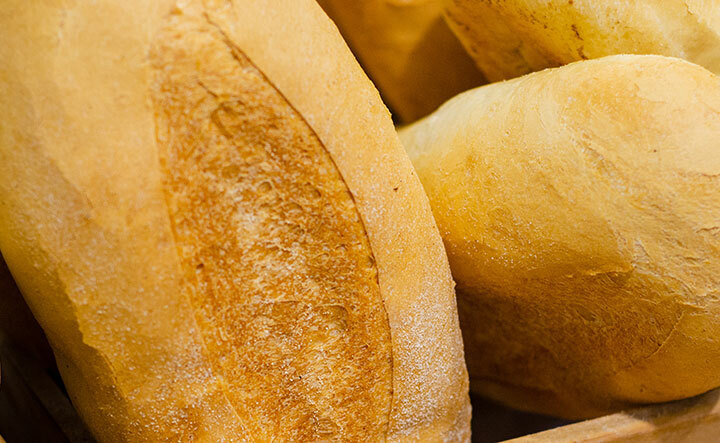 So do the local Artisan bakers we contract to ensure that we can offer you the most comprehensive range of breads, pastries, gourmet muffins and specialty buns that you’ll find anywhere in town. Unlike many suppliers, we continue to bake throughout the day to ensure your bread and pastries are as fresh as possible. Forgot your lunch? Never fear the Grocer’s here! We bring you freshness, taste and convenience all rolled into one within the “Food To Go” department, with a full range of sandwiches, pies and salads. We even have our own in house sushi chef producing amazing fresh sushi from Monday to Friday. Hot chickens, including free range, are available from 10am daily. Our chooks don’t sit around, they’re cooked and stocked up throughout the day; so you can be sure the hot chicken you buy for your tea on the way home from work, has only just come out the oven.